Established in 1966, the Friends of the Presidents Society recognizes the college’s most generous donors, who set an example of leadership in annual giving (the gift level for membership is $2,000, with a sliding scale of lower levels for the most recent classes). Some of the most important lessons Ellen Carney Granda ’89 learned at Skidmore occurred outside the classroom. The English major recalls sitting across the table from a college trustee and defending WSPN’s right to free speech after the college radio station had come under fire for controversial content and language. Several administrators encouraged Carney, the station’s program manager, to engage the trustees in an exploration of free speech and governance issues. “It struck me that I was not only being supported but also taken seriously and treated as a peer,” she says. The experience revealed a community ethic that has strongly influenced her life personally and professionally. This lesson in participation was reinforced when Granda, who also led campus admissions tours, observed a social disconnect between applicants of color and their white counterparts. She expressed her concern to several administrators, one of whom encouraged her to establish a campus chapter of Society Organized Against Racism (SOAR). Her rally for the cause earned her the Katherine Scranton Rozendaal Citizenship Award. “No doors were ever closed to me,” notes Granda, who interned for the development office the summer of her senior year. That experience too left its mark, launching her career in development. Granda has served as fundraising officer for the Boston Conservatory and North Carolina Outward Bound, and director of major gifts at Lake Forest College. 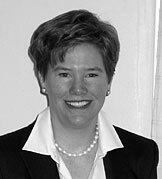 She is currently director of external relations for Lake Forest Academy in Illinois. For Skidmore, Granda has been on staff as assistant director of leadership gifts and volunteered as a regional phonathon coordinator, class agent, admissions contact, and fund chair for her fifth reunion—a position she’s repeating for her 15th reunion this spring. A supporter of the college’s annual fund since her senior year, she became a David Porter Associate in the Friends of the Presidents Society in 2004.